As the vice president of nursing and clinical affairs, Karen Haller oversees nursing and clinical quality for Johns Hopkins Medicine International (JHI). She develops the structure and resources needed to collaborate with health care organizations around the world and supports international patients seeking care at Johns Hopkins medical institutions. She also provides leadership and strategic oversight for JHI’s clinical, consulting and knowledge-transfer activities. 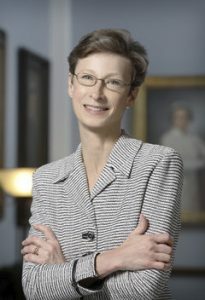 In her nearly 30 years at Johns Hopkins, Karen most recently held the position of vice president for nursing and patient care services and chief nursing officer for The Johns Hopkins Hospital. She earned her bachelor’s degree, master’s degree and doctorate in nursing, as well as a master’s degree in public health, from the University of Michigan. Connect with Karen on LinkedIn. View all posts by Karen.